The Heritage SAP candidates are now on the Christmas break. During the past couple of weeks they have had a field trip to the Weald and Downland Open Air Museum at Singleton in West Sussex. 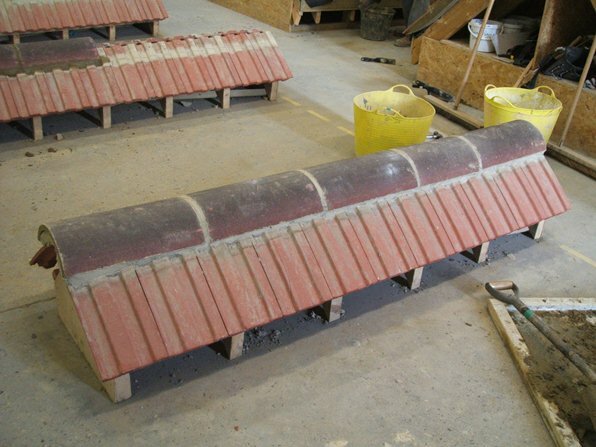 They were able to see many varieties of roof covering in situ, and make comments and have discussions with reference to what they had learned, so far, at the training centre. 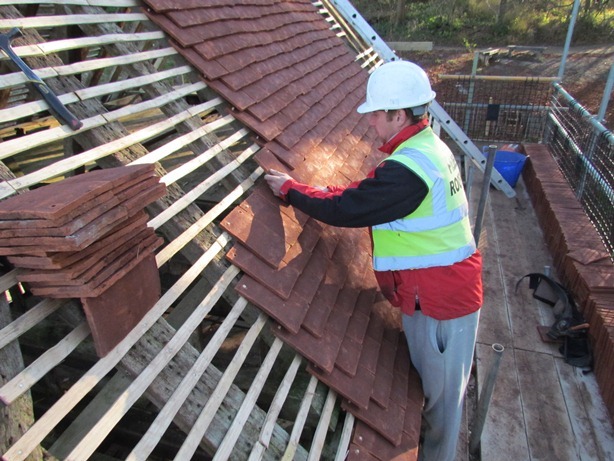 They also had the opportunity for some hands-on practical work on a ‘live’ project – a ‘new’ building is being erected by the Weald and Downland Museum, which was ready for some roofing works. Their work on this project will be used as an opportunity for some of the assessments that are required to go towards completing the course. 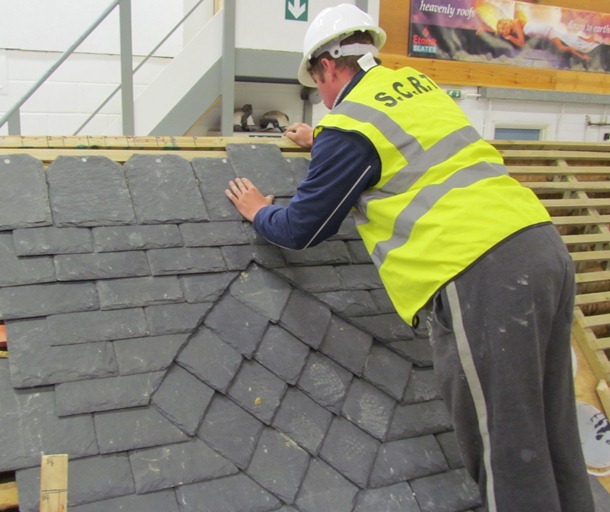 Back at the Training Centre in Littlehampton, the candidates continued working with random slates, creating a decorative panel, and learning some lime torching techniques. The next Heritage Skills NVQ Level 3 Diploma Specialist Apprenticeship Programme (SAP) will start on Thursday 14th March 2013, click here for more information. The CSkills Apprenticeship candidates are now on their 4-week break, enjoying the Christmas holiday, and also working for their employers. One of the elements that they covered in this 4-week block using interlocking tiles was ridges and valleys and on their return they will be working on hips, also using interlocking tiles. For further information on this Apprenticeship programme, click here. The successful and well-attended Flat Roof courses using the CrysticROOF GRP system and the Sealoflex system also ran in the week before Christmas. If you are interested in attending one of these courses and would like to find more information, click here.